Welcome to our map shop, here you can view all of the maps we use in our walks with a link to purchase them direct with Ordinance Survey. This is not the definitive list, or even a "best of" this is the maps we use for the current walks we do. Our current walks are heavily weighted toward the Lake District and the Peak District and that is reflected below. OL24 covers the southern section of the Peak District, it's covers some of our best walks and has some of the best views in the peaks with Thors Cave. For anyone getting out in the Peaks this is a must. OL1 covers the northern areas of the Peak District, some of the higher climbs can be found here such as Kinder Scout and Mam Tor. It's another great map to pick up and add to your collection. OL4 covers the north western fells of the Lake District. Some of the most distinctive fells are around here including Catbells, Haystacks and Skiddaw. Some fantastic lakes also fall into this map so it's an excellent all rounder. OL6 covers the south western fells of the Lake District. This is a favorite of ours as it includes our all time favorite fell in Coniston. Scarfell Pike is also on this map so it's a must have for 3 peak challengers. OL7 covers the south Eastern area of the Lake District. Kendal, Windermere and Ambleside all feature on this map so there is a great number of walks and places to stop over here. 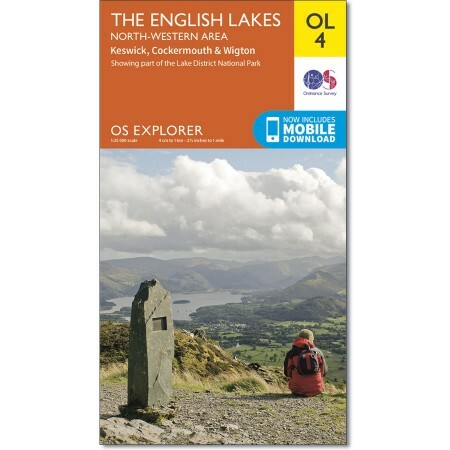 OL5 covers the north eastern are of the Lake District. Ullswater features centrally on this map which offers some excellent walks and waterfalls, but for any keen fell walker this is a must have due to the inclusion of Helvellyn, Britons number 1 walk. OL19 covers the Howgill Fells and Upper Eden Valley. This was crucial when completing the Nine Standards walk. OL43 doesnt need much of an introduction as it covers a huge range across the middle of England to encompass Hadrians Wall. 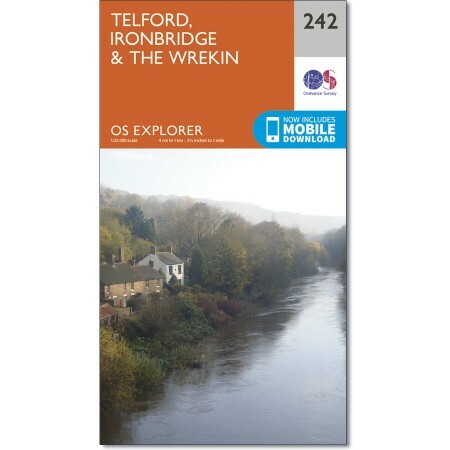 OL242 covers Telford, Ironbridge and the Wrekin. There are some beautiful walks in this area and the map can be very handy when planning walks here. OL258 covers Stoke On Trent and Newcastle Under Lyme, two areas that are surrounded by huge amounts of countryside giving you lots of hilly walks. OL217 covers the Long Mynd and Wenlock Edge. This is the perfect handbook to take to the Long Mynd as there are so many routes you can follow. OL267 covers Northwhich and Delamere forest. The forest covers a huge area so this map can come in very handy when trying to find the best routes. 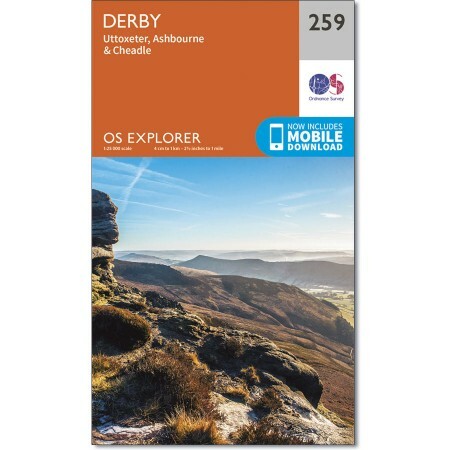 OL259 covers derby, but much like the Stoke on Trent map is has an abundance of countryside just south of the Peak District to explore. Want an alternative to buying physical maps? 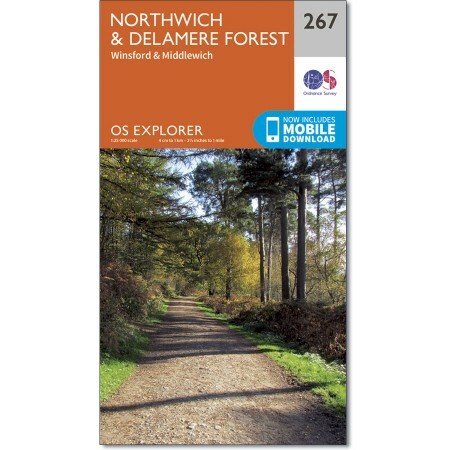 check out the fantastic OS Maps app. Subscribe below.